New York Urology Specialists welcomes patients from around the world. We understand that many innovations in urological care take many years to become available in other countries. In addition, many patients wish to take advantage of the best specialists when it comes to caring for their urological needs. We are here to help you answer financial questions, locate hotels in New York City and arrange coordinated medical care for your urological and non-urological healthcare needs. If you do not speak fluent English and do not have a translator we can arrange a translator for you. We are conveniently located near Central Park with all parts of Manhattan easily reachable by public transportation, taxi or limousine. New York Urology Specialists is a referral center for patients with complex urological needs from the Middle East, Africa, Japan, Latin and South America, Caribbean, Asia and Europe. 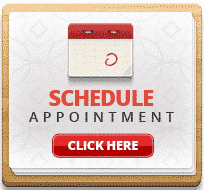 Make an Appointment: please inform us that you are traveling so that we can advise you best on making the most efficient arrangements for your visit to New York. Financial Information: we offer affordable rates for consultations, in-office procedures, diagnostic and laboratory tests and surgical services. You may pay as you go; many international patients can benefit from our inclusive packages that allow continuation of care and coordination of care while patients are back in their home countries. If you need to have documents translated, we have translators for most languages including Chinese, Japanese, French, Italian, German, Spanish, Russian and Arabic. If you need a translator to come with you to doctor appointments we can help you find a translator fluent in your language. Can I pay for my treatment in installments? Treatment costs must be repaid fully, in advance, prior to treatment. We are not able to extend credit. There are private companies that may offer loans and credit for patients. Do you require all medical records to be in English? If you have medical records from your other physicians they need to be translated to English. We cannot accept any non-English documents. If necessary we can facilitate the translation of your documents.